David Sequeira in his office at the Victorian College of the Arts, Melbourne. Image by Clinton Murray. 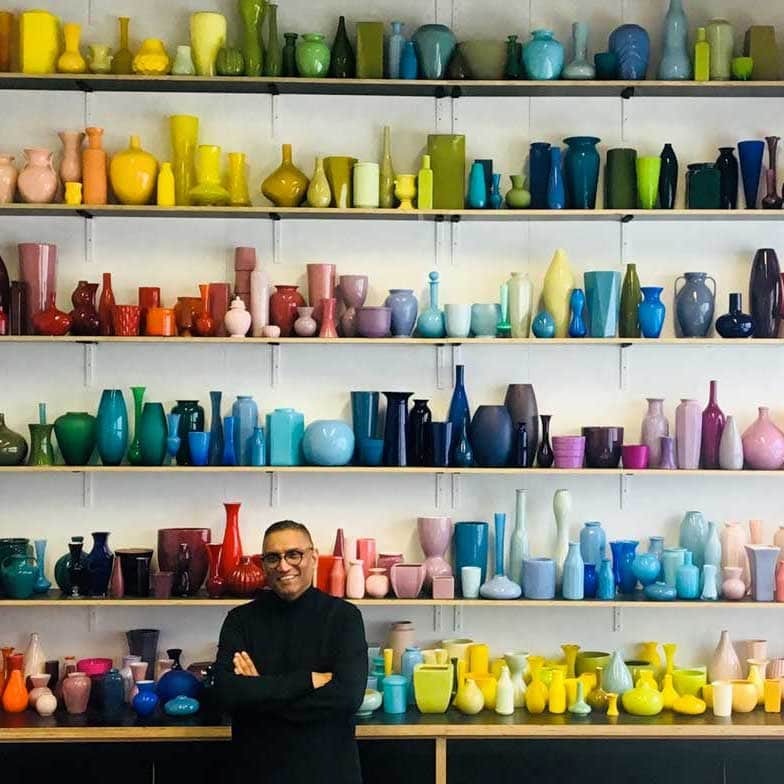 David Sequeira is a visual artist, curator and museum education professional based in Melbourne who explores language through colour and gesture. A self confessed hoarder, David collects books, vases, flower petals, leaves, domestic ware and plastic plates, which both “furnish recollection … [and] form records: analogues to living memory, storing information beyond individual experience.” (M. Kwint 1999, Introduction: The Physical Past).